Firefighters from Fletcher, Casstown, Christiansburg, St. Paris, and Troy battle a barn fire at 6715 E. Loy Road on Tuesday. 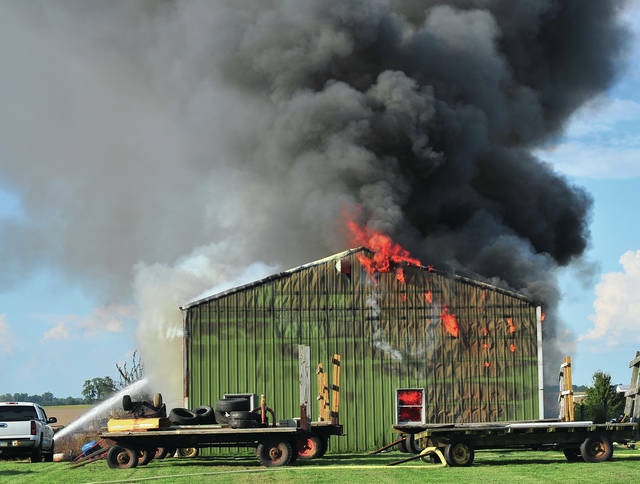 The fire was reported around 5:50 p.m. and the first units on the scene reported the barn to be fully engulfed on their arrival. No damage estimate or cause has yet been releases. Firefighters were on the scene well into the evening. Firefighters from Fletcher, Casstown, Christiansburg, St. Paris, and Troy battle a barn fire at 6715 East Loy Road on Tuesday. 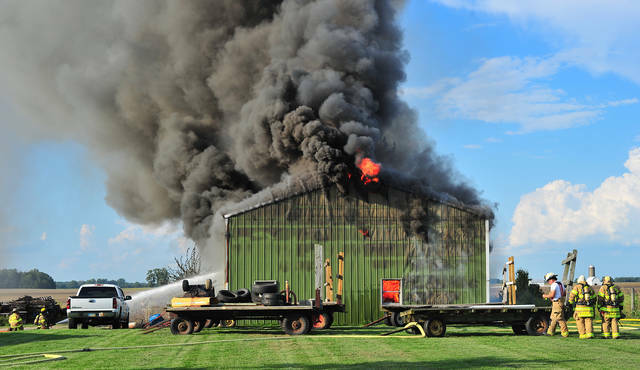 The fire was reported around 5:50 p.m. and the first units on the scene reported the barn to be fully engulfed on their arrival. No damage estimate or cause has yet been releases. Firefighters were on the scene well into the evening.